Holiday time anyone? In this second Project Snip-Snip Auction, we’re making it a little easier to stay organised when you go away. 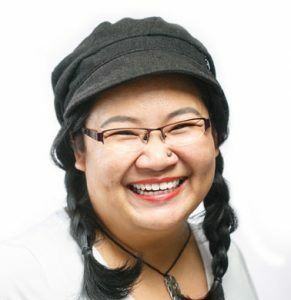 My buddy Peggy Wong is an architect by day and a lot of other things when she isn’t being an architect. She has been crafting for a while now and is one of the people who inspired me to get into clothing recon and upcycling stuff. Her blog cloth.with.pegs is full of her crafty results, including a few costumes we made last year! 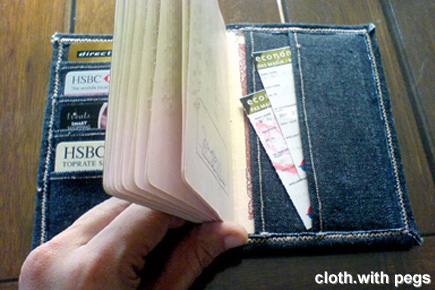 This passport holder will hold your Malaysian passport, your necessary cards and tickets when you jet off on a holiday. Handy! You can see more photos here. Peggy will be making one for the winner of this auction. This auction will close on Nov 1, at 11pm. Last bid by the timestamp on the comment, wins. Bids should be at a minimum increment of RM2. This means you can bid any amount above RM2. If you forget in your excitement, it automatically gets bumped up. I can only accept bank transfer or cash on delivery. 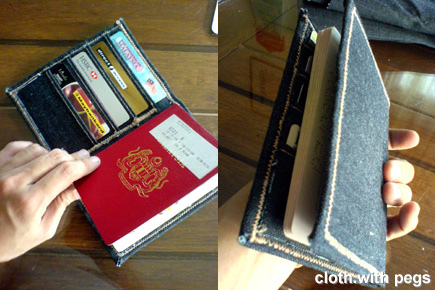 My bid.. RM20… looks really cool and handy! My bid – RM35. Standard price for a cat castration.